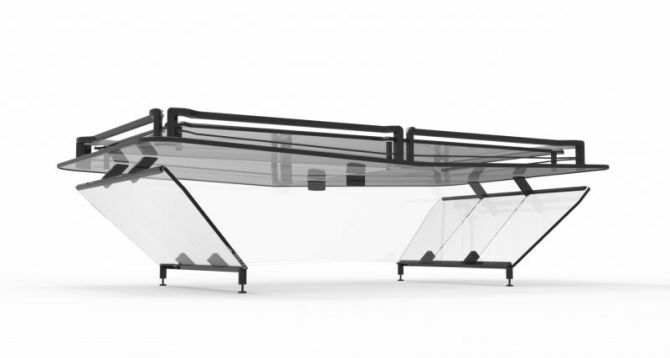 Exclusive X1 Everest pool table from Elite Innovations boasts completely transparent design, which makes it appear to be floating in mid-air. 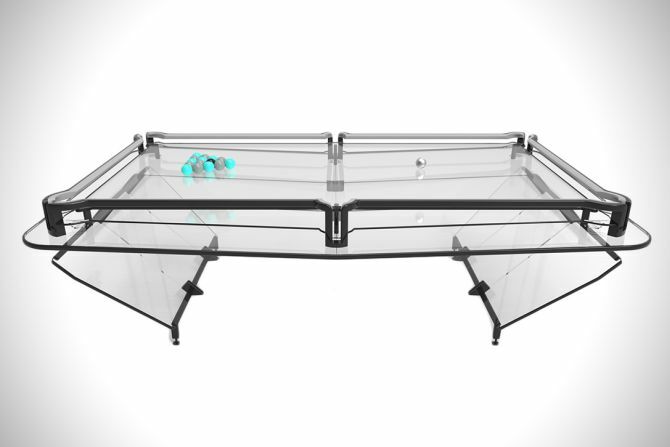 Despite its glass table top, the gaming table is perfectly capable of hosting a game of pool in the playing area. The playing area is treated with a special material called ‘Vitrik’ – a mesh-embedded compound that’s highly resilient, shock-resistant, and mimics the rolling resistance of felt fabric without requiring much maintenance. 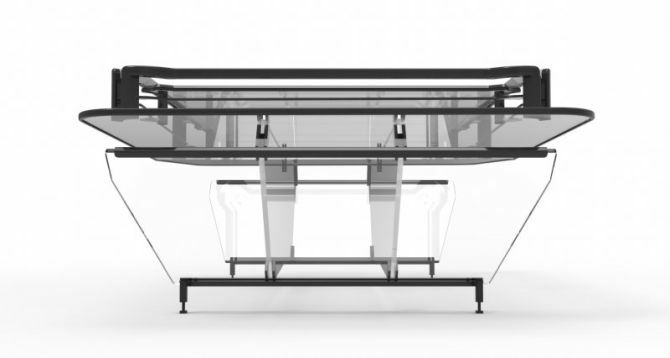 The proprietary finish is a coating and mesh multi-layer combination, fixed to the glass. 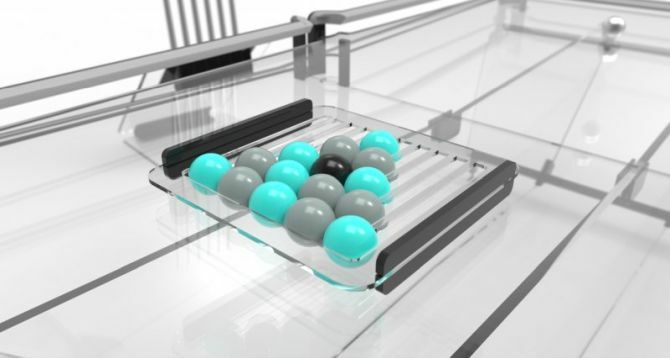 This allows the balls to roll smoothly at a nearly identical rate to a standard cloth table. The bumpers are further upholstered in Warwick’s Global Suede and you can even opt for LED uplighting for additional aesthetics. 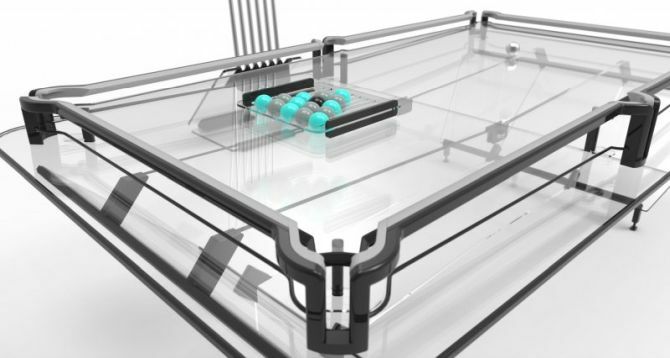 The see-through design of this gaming table will complement any contemporary home interior. 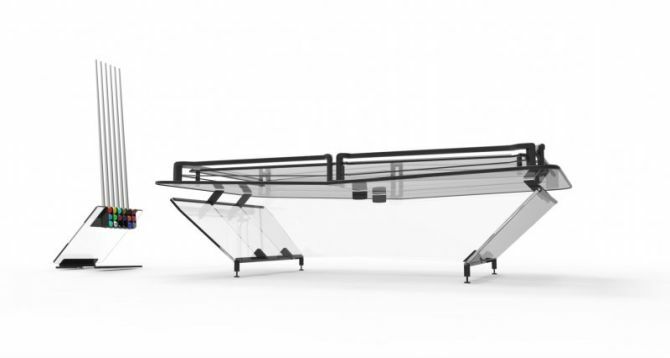 Moreover, the visual impression that the table is hovering on air is likely to turn heads when you invite someone over for a game or two. If you are interested in purchasing XI Everest pool table, you should hurry now – as these 8 by 4-feet tables are extremely limited. 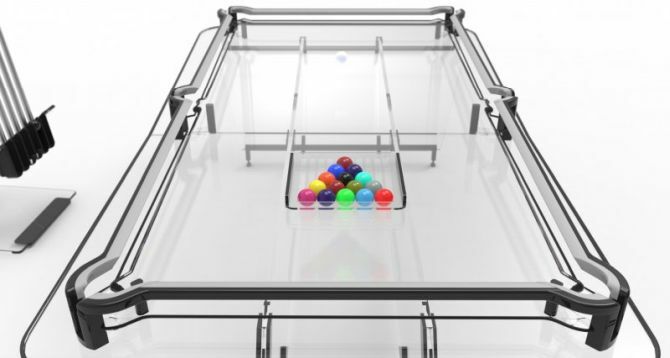 The company will make only five of these pool tables per year. 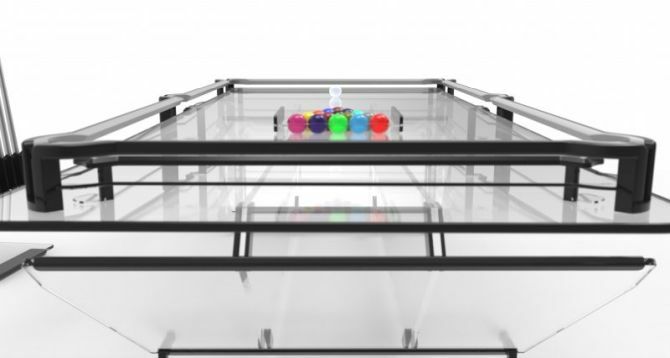 Anyone with deep pockets must think of buying one of these limited edition glass pool tables to spoil yourself this summer. For purchasing and more information, visit the company’s official website.